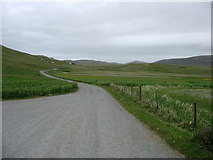 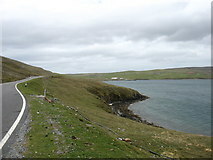 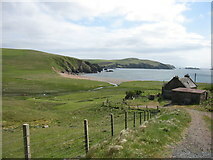 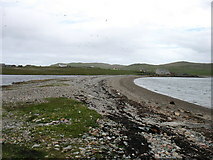 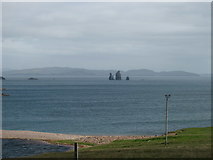 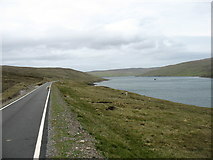 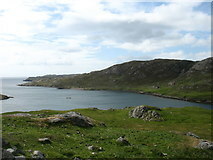 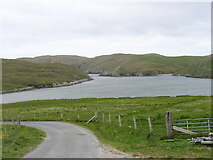 A drive round that part of Mainland which is north of Mavis Grind (HU3468), where Mainland is very nearly divided into two islands. 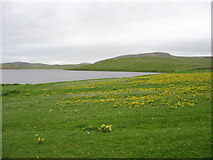 Good flowers in the foreground. 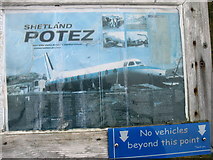 Not, perhaps, suitable for other than the smallest of vessels. 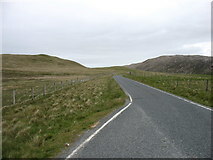 Joining the A970 above Colla Firth. 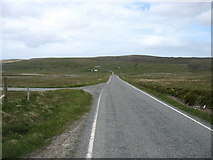 In the distance, the A970 climbs a modest hill on its way south. 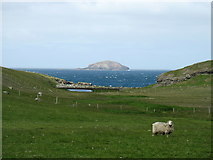 In the distance, Muckle Ossa, 56m in [[HU2185]], is very prominent. 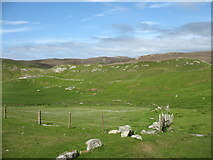 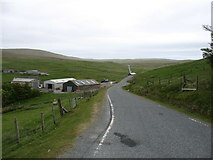 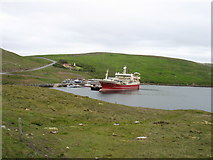 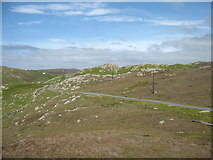 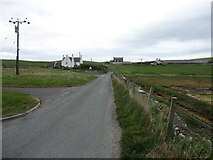 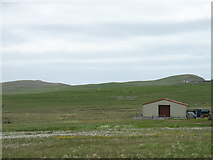 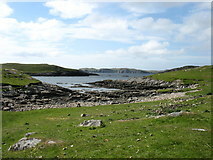 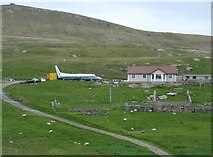 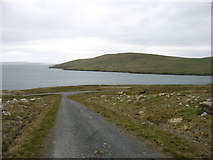 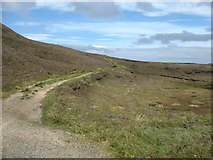 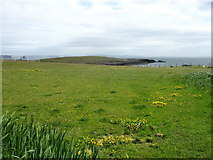 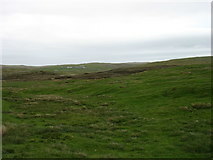 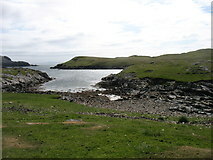 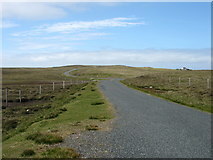 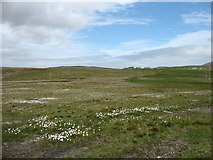 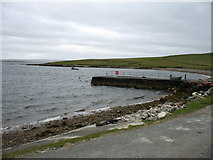 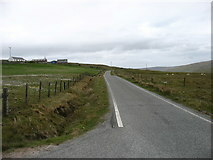 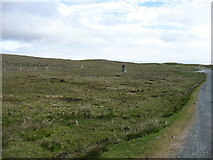 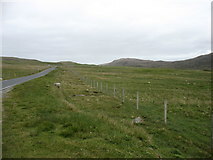 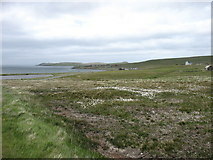 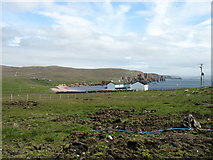 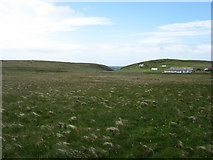 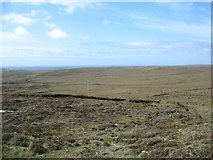 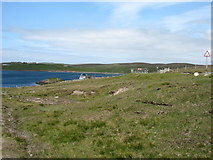 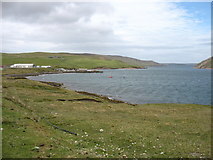 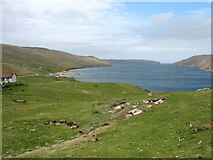 The top of Muckle Ossa [[HU2185]] can be seen in the distance, centre. 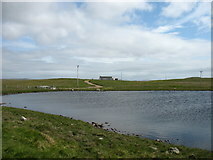 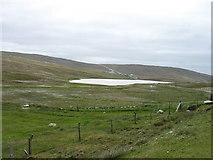 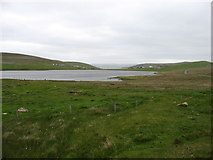 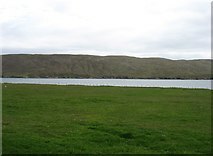 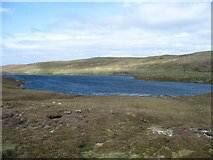 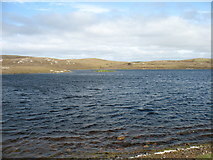 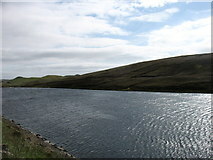 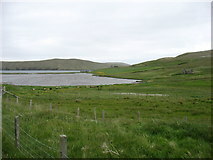 One of many sizable lochs in this part of Shetland Mainland. 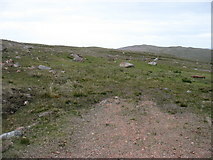 For an explanation, see []. 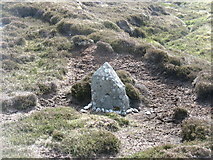 For a photo of the grave, see []. 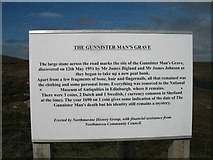 I wonder who Johnnie Mann was?